I went back to Beijing after I graduated in 2015. I was trying to find a good job, but found that China has spent the last thirty years building cities. I decided that it was time to focus on the Chinese countryside. So I chose my current employer, China Agriculture University Town-Country Planning and Design Research Institute, which is trying to build as part of the beautiful Chinese countryside. I hope I can do my best to design and plan country dwellings. I was always impressed by tradition Chinese dwellings. I have been able to increase my professional knowledge which is very helpful for my career life. I hope that in the future Chinese cities will be designed along more traditional lines, and not like they are today. Most of the new cities look very similar. 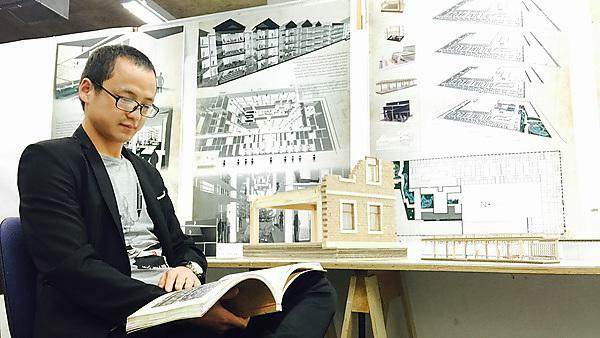 Studying at Plymouth University did not just give me the opportunity to increase my professional knowledge in architecture, but it also gave me life experiences and taught me to be a happy person. Having a degree from Plymouth University has certainly given me a lot more confidence to make decisions in my life. I’m glad that I had the opportunity to study with my lovely classmates who were from all over the world. For more information about studying MA Architecture, please visit our MA Architecture page. For more information about our range of courses within the School of Art, Design and Architecture, please visit the school page.